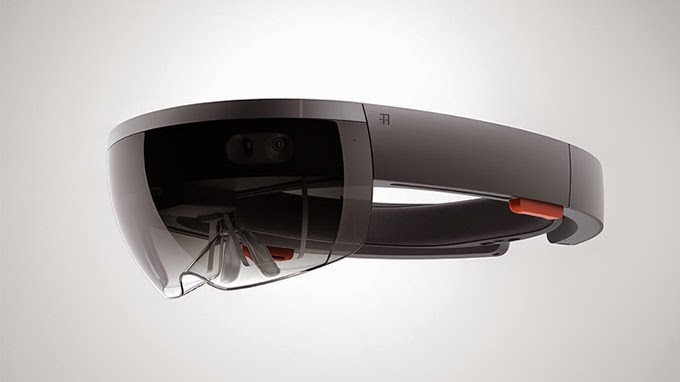 Microsoft announced their latest device called HoloLens. A holographic headset that aims to rival the most advanced virtual reality devices out there. The first demo, created in partnership with NASA's Jet Propulsion Laboratory, takes me to the surface of a near-photorealistic Mars. Using real photography from the Curiosity rover, Microsoft was able to re-create a Martian landscape and overlay a 3D-map around a small, conference-room-size environment. With HoloLens, I'm not just able to see what it's like to walk around on Mars, but I'm also able to interact with the contents on the surface. Using a finger gesture called Air Tap, the HoloLens lets me mark certain spots on the surface for investigation and even lets me talk with another floating figure and collaborate on examining the surface...Watch the video of it in action. 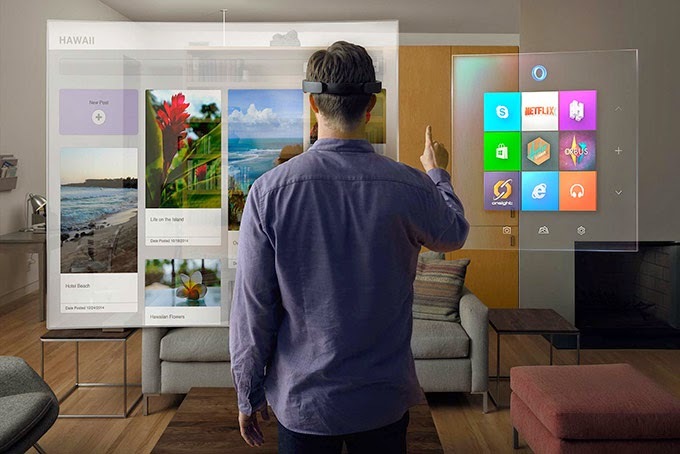 "For the first time ever, Microsoft HoloLens seamlessly blends high-definition holograms with your real world. Holograms will improve the way you do things every day, and enable you to do things you've never done before."